After an impressive college career at San Jose State, Tyler Ervin was drafted in the fourth round of the 2016 NFL Draft by the Houston Texans. 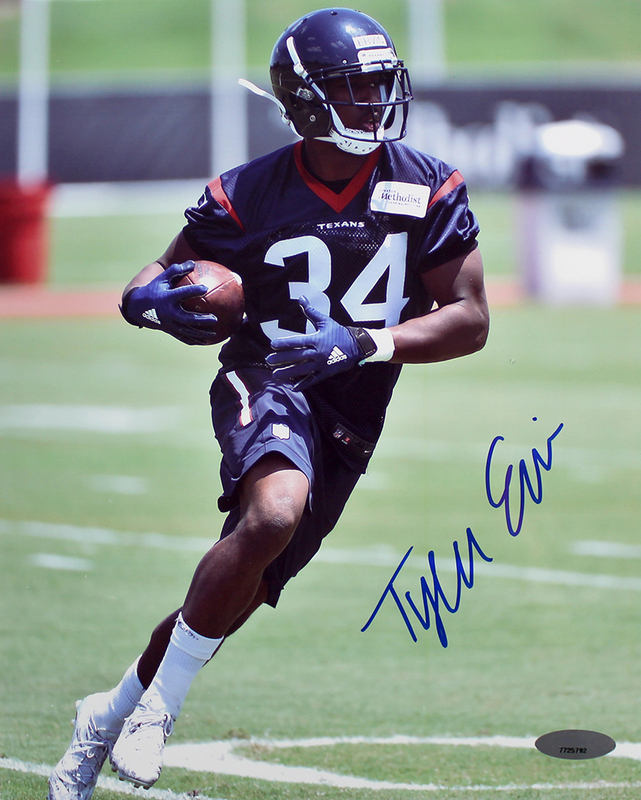 Tyler Ervin has hand signed this Houston Texans 8x10 photo. Each autograph is guaranteed authentic, and includes an individually numbered, tamper-evident TRISTAR Authentic hologram.